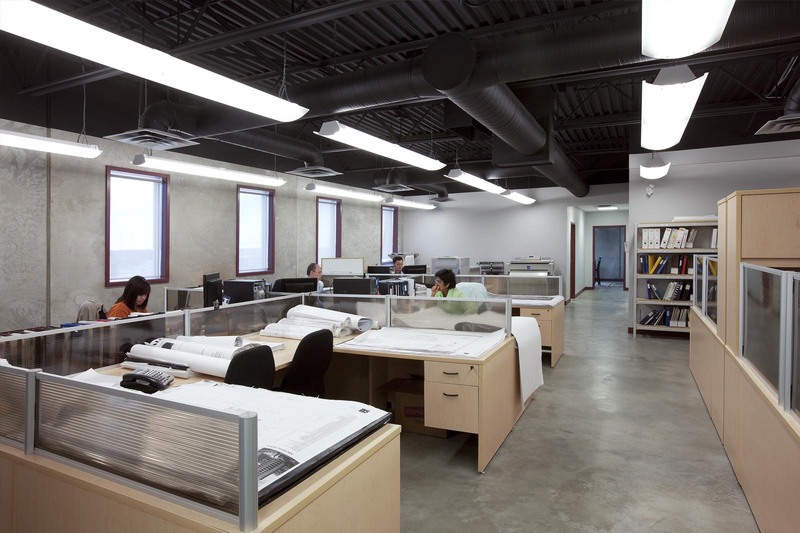 Main Message: DiStefano Jaud Architecture is well versed in providing services for commercial projects. Office buildings, aircraft service facilities, manufacturing plants and restaurants are part of our experience profile. Our primary focus for commercial projects is to be a dependable project partner that provides quality: On time, on budget, and with the client vision realized. We can assist with projects that are of different sizes, from small renovations to large developments. Regardless of your project size, you will be paired with a senior architect that fits with your team’s approach. We focus on building relationships for project success now and in the future. Commercial projects require understanding of and sensitivity to the aims of the client. Program and spatial relationships relate to the business function. The design strives to build upon the functional requirements to expand the capabilities of the business. This may be by way of insights into functional relationships that when built into the design bring about efficiencies and economies previously unavailable. Through a highly functional design a meaningful corporate expression may be achieved. DiStefano Jaud Architecture specializes in assisting corporations realize long-term value from their development investments by providing design that expands their corporate vision into the future in a positive expression of physical form. Our clients are local and International. It is our pleasure to work with clients that are already woven into the essential business fabric of their communities as well as those clients establishing a new business footprint.